Amazing facilities. Very well decorated and clean. Our apartment was literally 20m from the beach. Everyone was extremely polite and professional. In general the entire experience was just what we needed to get some long awaited rest. Very close to the beach. Koundouros as well as Koundouraki (the beach nearby) are both great! The location was absolutely beautiful. The service was fantastic. Everyone was very nice and helpful. The villa had a nice layout and it was great being able to sit on the balcony in the morning and at night. The beach area was clean and wonderful. The whole experience was great and very relaxing. Beautiful location on the best beach on the Island. Nice interior and exterior & good food. Impressed by the high service level of Eleni (the manager) and her team. This is a place you really can relax on your holiday. Great beach, very clean and comfortable facilities, very friendly staff!! Very nice , laidback resort . 100% the best accomodation and beach on the island. Beach was simply perfect for families with young children. Lots of natural shade plus a small playground. Very good bar and restaurant facilities too. Elena, our contact person from the hotel was very friendly and helpful. The breakfast was perfect and the room was always very clean! Lock in a great price for Porto Koundouros Beach and Villas – rated 9.2 by recent guests! 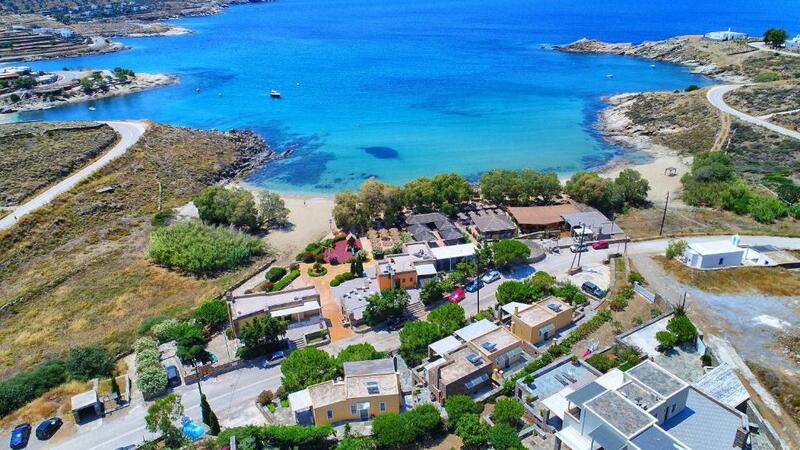 One of our top picks in Koundouros.Offering a barbecue and views of the sea, Porto Koundouros Villas is located on the beachfront in Koundouros in the Kea Region. Free WiFi is featured throughout the property. All units feature a cable flat-screen TV and CD player. Some units include a seating area and/or terrace. There is also a dining area and a kitchen equipped with an oven and toaster. A refrigerator is also offered, as well as a coffee machine and a kettle. Each unit has a private bathroom with free toiletries. Free private parking is available at the villa. Porto Koundouros Villas also includes a terrace. Guests can enjoy a drink at the on-site bar. Grocery delivery and packed lunches are available on request. The property has a private beach area and water sports facilities and bike hire is available. You can play table tennis at the property. Korissia Port connecting to Lavrio is 12 mi from the property, while Ioulida Town is 9.3 mi away. 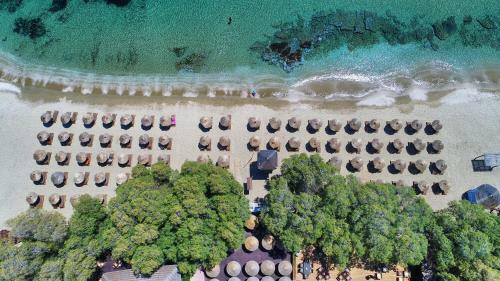 When would you like to stay at Porto Koundouros Beach and Villas? This villa has a balcony, kitchenware and sofa. This villa features a balcony, tumble dryer and electric kettle. This villa features a balcony, oven and electric kettle. Koundouros, a hidden paradise and secret to its fanatical friends until a few years ago, todday is a famous holiday destination and a favorite anchorage of large and smaller yachts and sailing boats. Stone windmills, chapels, successive sandy coves, impressive mediterranean flora and fauna. A special, cosmopolitan, majestic place. House Rules Porto Koundouros Beach and Villas takes special requests – add in the next step! Porto Koundouros Beach and Villas accepts these cards and reserves the right to temporarily hold an amount prior to arrival. 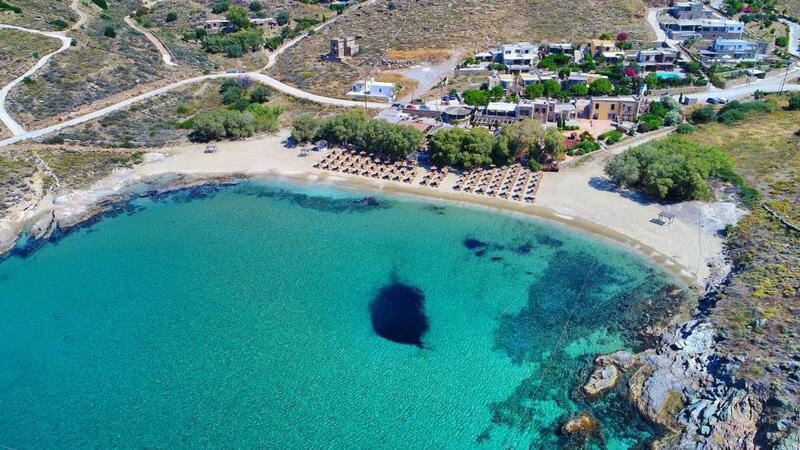 Please inform Porto Koundouros Beach and Villas of your expected arrival time in advance. You can use the Special Requests box when booking, or contact the property directly using the contact details in your confirmation. Perfect service, top Location at the Beach - view like Paradiese ! Lunch and Diner good quality with great view and chill atmosphere. I strongly recommend it ! Needs more children activities. Doesn't have any. The property charges for their beach chairs. This is absolutely unacceptable especially because the nightly rate is not exactly cheap. Also the breakfast is not included in the price and the value isn’t worth it!!! First of all to clarify that these are not beach front villas, but apartments/studios/villas/whatever near the sea, which is reachable only after crossing the street just in front of them. The same street is somehow noisy, and if you are travelling with small kids, this street is not safe enough in order to leave them without attendance. I mentioned studios, because even if I booked an one-bedroom apartment for our family, I finally got a studio, and i was told that they do consider the studio an one-bedroom apartment. This was not a pleasant surprise, taking also in mind that what was presented in the photos, both within booking.com and on their site, was not the accurate picture of the room. Anyway, I highlight the above more for the owner concern and next actions to address this, because all the rest parts of our accommodation (beach facilities, hospitality) was fine. Kids menu at the restaurant is a must! Villa was comfortable but was not at the beach but behind the beach road. Comfortable space but bathroom and kitchen are in need of modernization. Accommodation was very poor value for money compensated by the excellent beach and facilities.